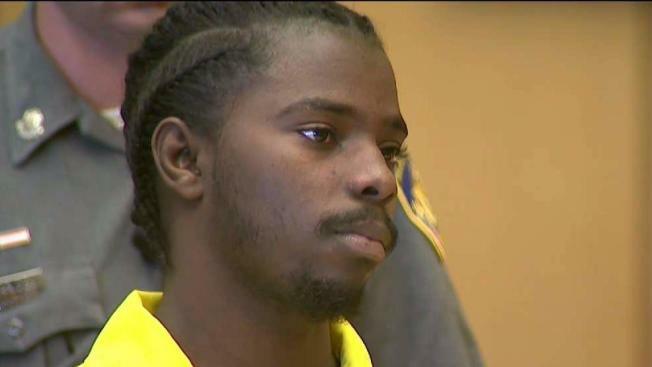 A Connecticut teenager appeared in court on Tuesday for sentencing in the fatally stabbing a man during an attack outside a fast-food restaurant apparently sparked by spilled coffee. Marquest Hall was sentenced to twenty years in jail, according to the Stamford Superior Court clerk. The 17-year-old pleaded guilty to manslaughter March in stabbing death of 52-year-old Antonio Muralles that happened more than two years ago. Hall was 15 years old at in March 2015 but was charged as an adult and proceedings were held in open court. Prosecutors said the victim was coming out of a Stamford McDonald's with a coffee when he inadvertently bumped into Hall and a friend and spilled some on them. They said Hall stabbed the victim, then he and the co-defendant continued to attack Muralles after he fell to the ground.